I couldn't wait to try it! Everyone must have had the same idea as the earliest table we could book at a 'dinner time' was 7:45pm. Luckily we were still full from Patisserie Valerie's afternoon tea so it was a good time for us. When we arrived at the hotel, we were greeted by two doormen, one who almost stopped us (probably because he thought we were lost) and the other directed us to the mezzanine upstairs. Our coats were taken and we were seated with a view of the downstairs bar. We had two waiters, one who was very attentive and funny and the other helpful with suggesting starters. 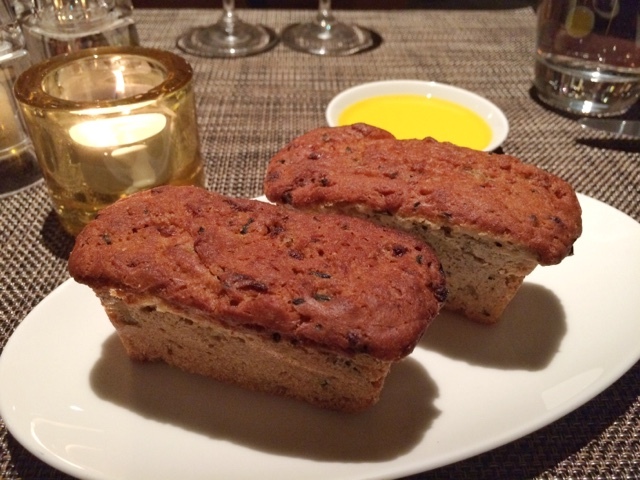 Whilst waiting, we were each served a warm mini loaf made with sampfire and onion and a rapeseed oil to dip. It was amazing! I finished every last crumb. It had a good balance of saltiness and sweetness from the onion. 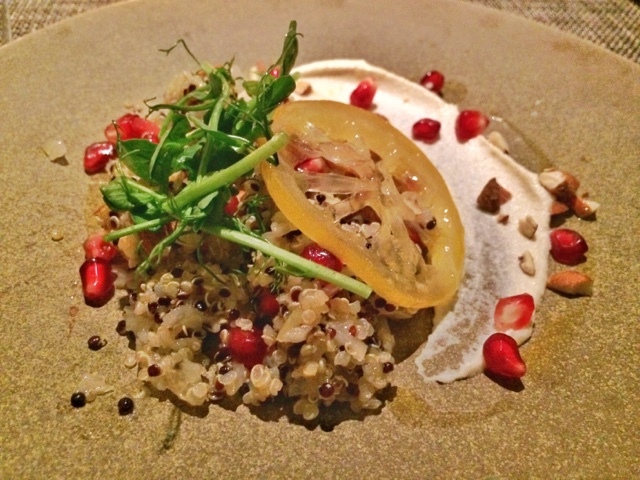 Being unable to decide between the quinoa salad and ..., our waiter recommended the salad as he said it was full of flavour. He wasn't kidding. It was fruity, nutty, sweet and savoury all in one dish! 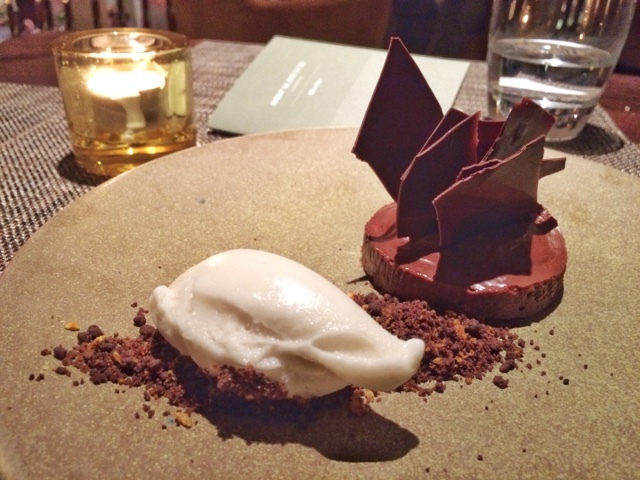 The different textures were great too - crunchy smoked almonds with the soft, delicate quinoa. Delicious. Ken went for the watercress soup with the poached hen egg. When it arrived, it was just a poached egg in a plate bowl. 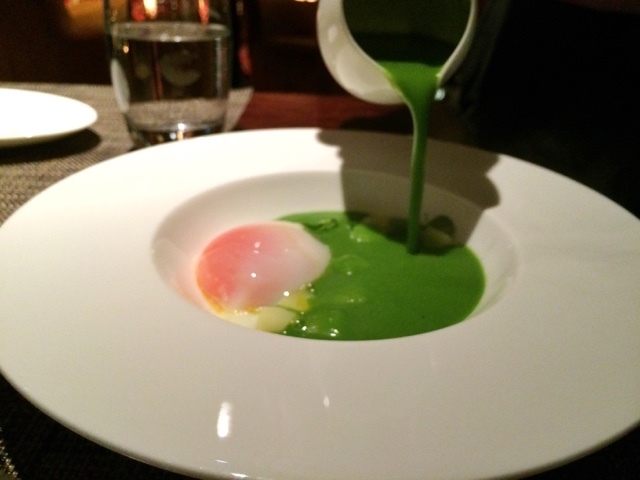 But then the waiter came over and gently poured the watercress soup on top so the egg was in a sea of soup. The soup was light but had a recognisable watercress taste. The egg was so neatly poached and the white was so thin it was virtually see-through. 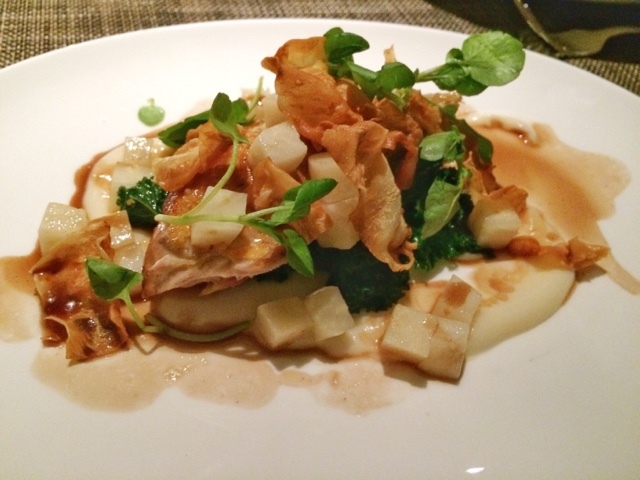 When I first read the menu online, I was certain I was going to have the hand rolled gnocchi with honey glazed butternut squash but then I saw the Yorkshire grouse, celeriac, watercress and jus port and changed my mind. I'm sure the gnocchi would have been just as enjoyable but I think the garlicky kale with the port jus satisfied my craving. 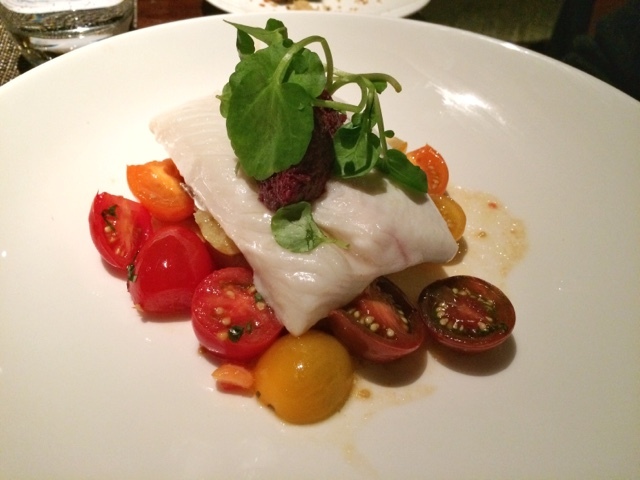 Ken went for the fillet of halibut, marinated heritage tomatoes, Charlotte potatoes and black olives. It was very neatly presented. The halibut didn't taste of much but went well with the strong, tangy black olive sauce. 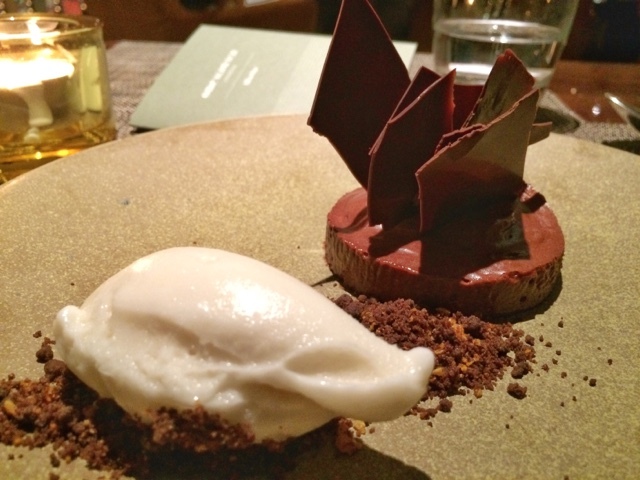 When it arrived I was in awe and said "mm almond ice cream! ", but what it sounded like was "mm I'm an ice cream!" I probably could have eaten it by myself (or another one but shh..), it was that good plus guilt free.